Home / News / Rochambeau Section 1 is 50% Sold Out–But More Coming! 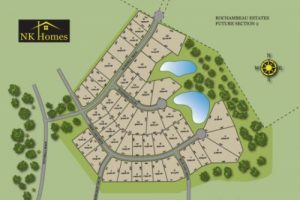 The popular new community of Rochambeau Estates Section 1 in New Kent, VA by NK Homes is now 50 percent full. Fortunately, this beautifully planned, family-friendly community with 77 homesites is going to develop additional sections for new homes in the future, starting with the addition of Section 2 in the Spring of 2019. While Section 1 of the new Rochambeau Estates community is 50 percent sold out, there is still time to purchase your new home located in this expertly planned community. Rochambeau Estates boasts a total of 77 homesites, 38 of which are still available. Each homesite contains between one-half acre to over an acre of land so you have plenty of room to build your new home and create outdoor living spaces, including patios and gazebos, fire pits, kitchens and barbecue areas. This community offers six two-story home plans with between 2,400 and 4,300 square feet. All homes come with attached garages and start in the low $300s. Each home plan has three and four bedrooms with between two and three and a half baths as well as large gourmet kitchens and family rooms that can be customized to your tastes and lifestyle. Rochambeau Estates was planned with families and couples in mind. The neighborhood features paved walking trails, two lakes, and a large common area to include a playground. The area offers three schools, George Watkins Elementary, Elko Middle School, and New Kent High School. Residents can enjoy local dining at Sun’s Cafe and Julio’s Mexican restaurant, and wine connoisseurs will appreciate the convenience to the New Kent Winery. New Kent, VA provides the small town feel many prefer, yet its conveniently located close to shopping, dining and sporting events. Couples and families can enjoy days and evenings in Richmond and Williamsburg while living in an intimate community hosting a population of less than 300. 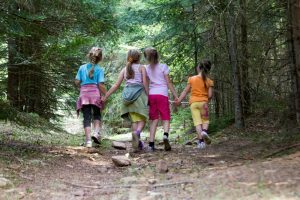 The community surrounding New Kent has several parks and recreational facilities where you can get active, spend quality time with your family and enjoy nature. The Cumberland Marsh Natural Preserve Area is located just north of New Kent along the Pamunkey River. Located to the east of New Kent along Highway 33 is the Wahrani Nature Trail, which offers paved walking trails amongst majestic trees. Rochambeau Estates is located at 5781 Bushnell Court in New Kent, VA, and it is an easy drive to Interstate 64 and the 295 loop around Richmond as well as the beautiful city of Williamsburg. This prime location makes commuting to school or work extremely convenient. Learn more about Rochambeau Estates.